Since the first set of East Indian Indentured Labourers arrived in Jamaica between 1845-1917, Indian music, art and dance have been an integral part of the Jamaican culture. 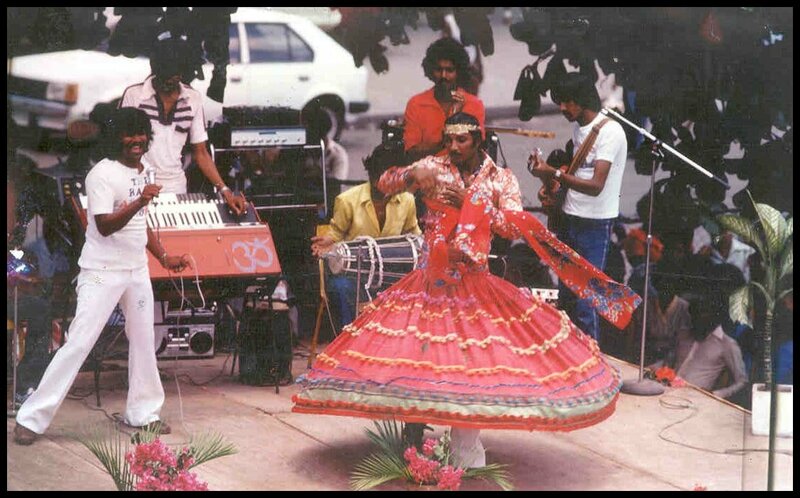 The Raja Sarangie Group was found by the late Johnny Mykoo in 1974 to promote and sustain Indian folk music and dance in Jamaica. Today, the band continues to provide musical entertainment to the Indo-Caribbean community both in Jamaica and the United Kingdom performing at Weddings, Parties, Pujas, Kathas, etc under the direction of Johnny's sons Trevor and Philip Mykoo. 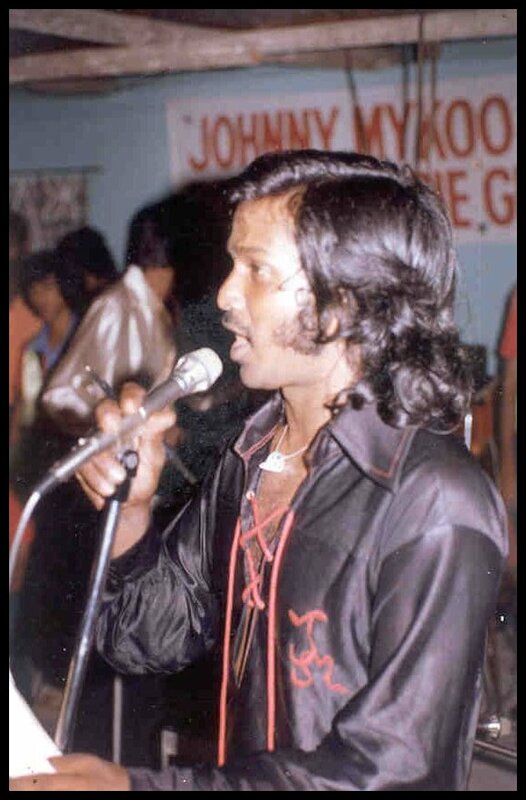 Formed in 1974 by the late Johnny Mykoo, the band members then consisted of Johnny Mykoo (lead singer), Clifford Thompson " Buchkun" (sarangie), the late Francis Baccas (dantal), the late Sonna Singh (dholak), Sue (nachania dancer) and Edgar Campbell (promoter). 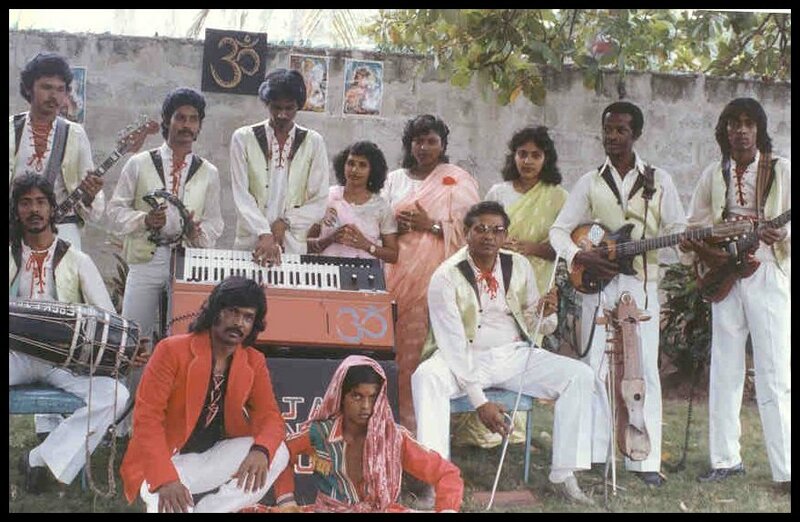 In 1980, the Raja Sarangie Group re-established itself and was at the height of its musical peak, playing at prestigious events with audiences such as the Governor General of Jamaica and the Indian High Commissioner of Jamaica at social and cultural functions across the island. At this time, the band members were Johnny Mykoo (lead singer), Judith Sankar (singer), Ann-marie Bennett (singer), Ann-marie Ergas (singer), Sandra Mykoo (singer),Valerie Ramdas (singer), Petrona Dean (singer), George Sampat (singer), Philip Mykoo (son of Johnny - lead guitar/dholak), Courtney Bennett (bass guitar), Bobby Maragh (rhythm guitar), Trevor Mykoo (son of Johnny - electric organ/harmonium), Cassell Williams (dholak), Troy Tallow (dantal), Francis Baccas (dantal), Patrick Lopez (percussion), Andrea and Wendy Maragh (backing vocalists), Christine Mykoo (daughter of Johnny - backing vocalist), Chini (nachania dancer) and Richard Mykoo (son of Johnny - nachania dancer). During this period, the band released various singles and albums touring across the Caribbean and the U.K.
Other "Associate Members" who have contributed their time and effort over the years to make the group a success :- Hamrit Guyah, Melvin Bennett, Linton Gazadal, Tawnie Tallow, Alfred Hemmings, Derrick Nacti, Stanley Nacti, Anthony Badaloo, Pactrick Dean, Cleve Bispot, Earl Budhai, Leslie Garieve, Ma lou, Shiela Richards. 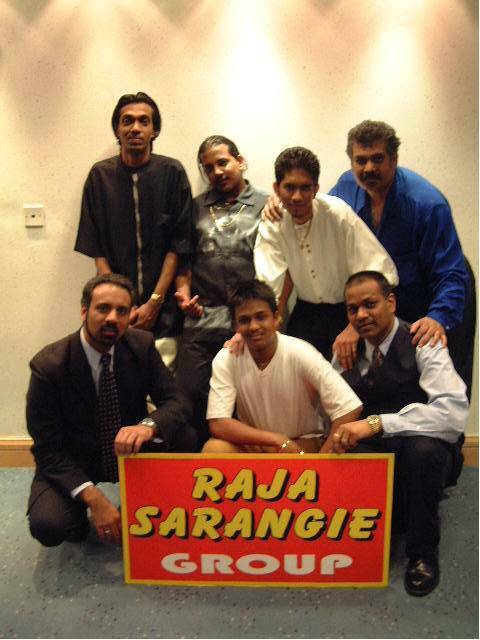 Raja Sarangie Group (UK) consists of Craig Persaud (lead singer), Philip Mykoo (singer, Music Director), Trevor Mykoo (singer/lead keyboard, Planning Director), Surrug Mykoo (tabla/drums), Paul Singh (dholak), Sylvester Ramnaught (dantal) and Peter Singh (mageera). 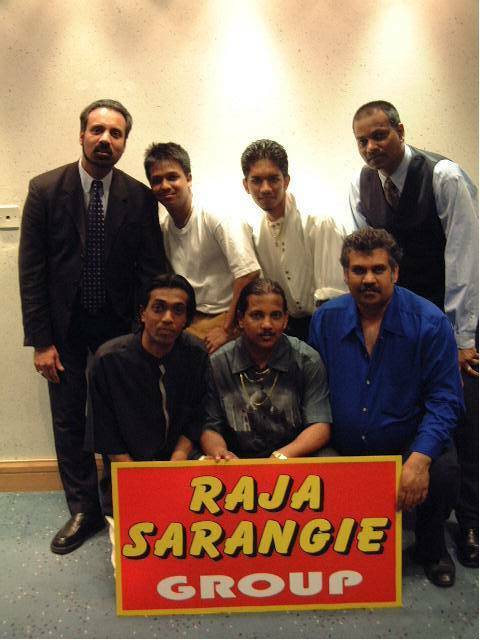 Raja Sarangie Group (Jamaica) consists of George Sampat (lead singer), Courtney Bennett (bass guitar), Bobby Maragh (rhythm guitar), Suren Chutkhan (keyboard), Richard Mykoo (dantal), Daniel Buddha (dholak) and Patrick Lopez (percussion). Johnny Mykoo was born in Bacham Pen (Spanish Town Road), Kingston, Jamaica on 9th February 1941, one of five sons and five daughters of Alice and Ram-Bali Mykoo. His parents were devoted Hindus and he grew up inspired by their religious values. As a child, he was often seen participating in Hindu rituals such as Pujas and often joked about his delight of blowing the conch shell during the Arti ceremony. He was also the local "trainee" nachania dancer! During the Indian festival of "Hosay" he was also seen playing sword fighting in the celebrations. Johnny went on to learn the trade of a professional Barber and he moved to the UK in 1964 where he opened his first Barber and Record shop in Leeds. He was married to Pearlina Mykoo (nee-Baccas) and they had seven children - Yvonne, Philip, Trevor, Christine, Richard, Jason and Steve. While living there he had a dream from a Sadhu (an old Hindu sage) to return to Jamaica to make Indian music. He returned to Jamaica in 1969 where his dream eventually became reality when he founded the Raja Sarangie Group in 1974. Sadly, in 1981 his wife passed away though he went on to remarry and had another son, Surrug. The Raja Sarangie Group became an international sensation touring Trinidad, Guyana, Surinam and the United Kingdom on many cultural events. Johnny recorded 2 albums namely Ham Jaane and Best of Johnny Mykoo and featured on the various artists album Pleasure for the Soul. He released 19 singles in total including hits such as Rama Ko, Bangala, Pardesiya and Krishna Ko Sangh and strived to sustain the Indo-Jamaican culture by contributing to the development of Indian music in Jamaica and the Caribbean. Sadly, Johnny Mykoo died in Jamaica on 16th December 1990 in a car accident while returning from an Indian function. The Indo-Jamaican community were shocked and stunned at this great loss and still mourn Jamaica's greatest Indian talent today. His memory lives on through his work and dedication to Indian music and today, the Raja Sarangie Group continues to perform under the direction of Trevor and Philip Mykoo. Philip Mykoo was born on 23rd June 1964 in Leeds, England and migrated to Jamaica at the age of 5. He grew up in Cockburn Gardens, Kingston, Jamaica and by the age of 12, he was already teaching himself to play the dantal and other percussion instruments .He went on to play almost every instrument in the band (his favourite being the guitar) and he eventually became the band's Music Director and Engineer. In addition to his credits, he is also a very talented singer. After leaving high school, he became involved in telecommunications and was working for a reputable company in Jamaica as a Telecoms Engineer. In June of 1989, he married Jacqueline and they both have a son Kiran whom they adore very much. In 1990, after the untimely death of his father, Philip took over the reins and became the Manager of the Raja Sarangie Group (Jamaica) and has been a true patriot where Indian music and tradition is concerned. His musical career has seen him being sought after by many other bands in Jamaica and the United Kingdom. He has also done Studio Engineering for several artists and producers and is currently involved in producing his own C.D. entitled "Sangeet Garam". Trevor Mykoo was born on 3rd June 1965 in Leeds, England. He migrated to Jamaica at the age of 4. As a child growing up, he participated in various religious functions. He was most influenced by his father for serving the Indo-Jamaican community with his music and singing. At a very early age, he taught himself to sing and play the harmonium. During his teenage years, he joined Prema Satsangh of Jamaica where he was actively involved in preserving and cultivating Hinduism in Jamaica. He visited Trinidad to study Yoga, Vedic rituals and music under the watchful eyes of Prof. Adesh. While living in Jamaica, he was the keyboard player for the Raja Sarangie Group and often entertained the audience with his singing. In 1985, he moved to England to further his studies where he took up computing as a profession. Today, he works as a Computer Technical Analyst for a well known insurance company in the United Kingdom. He is married to Ruth and they both dote on their little daughter Priya. Trevor's mission in life is to uphold his Hindu cultural values and to preserve and propagate Hinduism in the Indo-Caribbean community. He is also active with the Hare Krishna temple in Manchester where he plays the harmonium and the mirdanga drum during the Sunday kirtan services. He is the founder of the Raja Sarangie Group (UK) and has been instrumental in organizing cultural events for the band. His current religious activities include launching a Satsangh Group for the Indo-Caribbean community living in the United Kingdom and he is also actively involved with his family tree, tracing his roots back to India where it all started. A popular type of dance found amongst the East Indians who arrived in Jamaica during the Indentureship (1845-1917). Today, this indian dance can be observed during Weddings, Pujas and Divali celebrations in the Indo-Jamaican community. 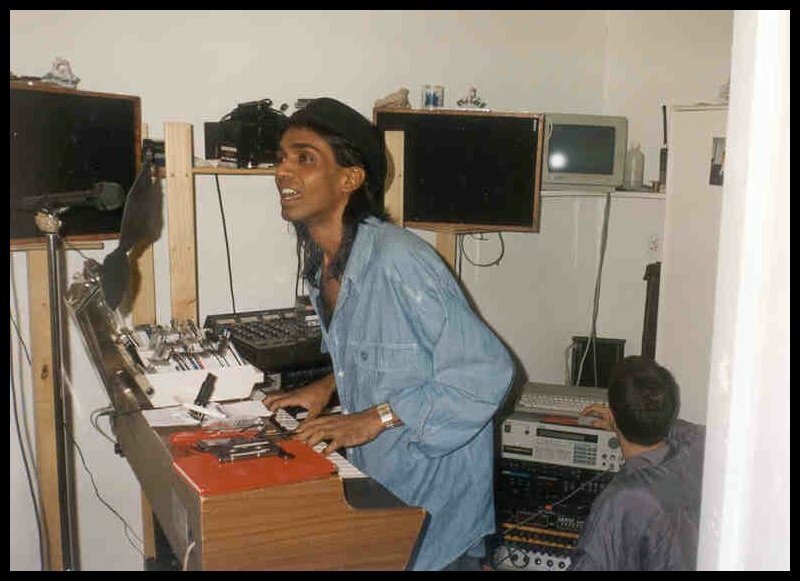 This site is dedicated to the late Johnny Mykoo (9/2/41-16/12/90), a pioneer who dedicated his life to cultivate and preserve traditional Indian music in Jamaica and the Caribbean. We would also like to take this opportunity to commend the efforts of our fellow musicians and bands who continue to preserve and promote traditional Indian folk music in Jamaica. This site was designed by Trevor, Ruth and Philip Mykoo and edited by Ruth Mykoo.